The Condo group real estate ltd. 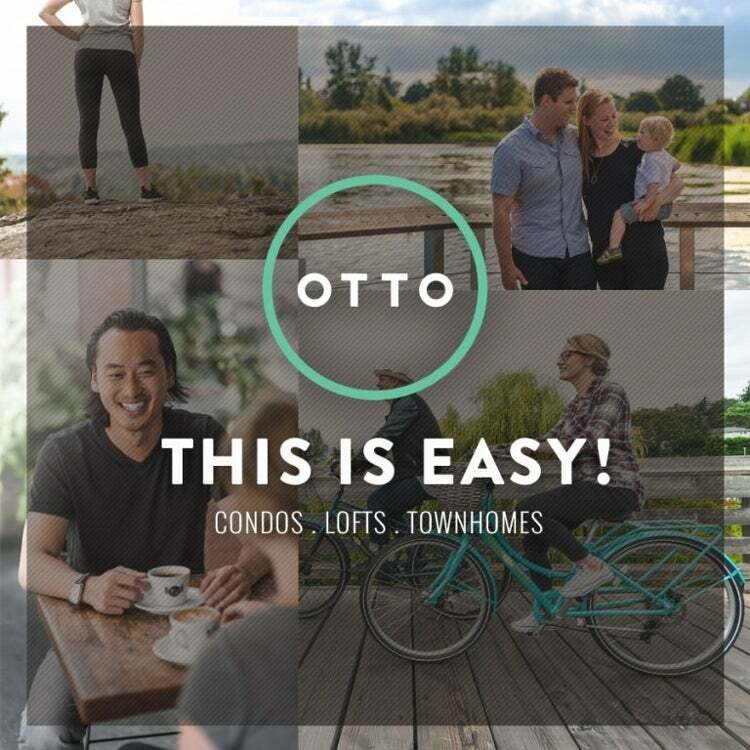 The OTTO, located on McKenzie Avenue between Saanich Road and Quadra Street, is a new condo development in Victoria, BC. With its unparalleled location and sleek modern design, these condos, lofts and townhomes are designed with you, the buyer, in mind. These 53 condos and six townhomes in this new condo development offer buyers a chance to own a home that feels like its own neighbourhood. From first-time buyers to young families to downsizing retirees, these homes offer comfortable and stylish living. Centred around an inner courtyard, this building strives to offer ample green space and a natural environment. Each of the six townhomes will feature its own private entrance through its garden patio and a single-car garage. When you purchase your new home at the OTTO, you will have an opportunity to select one of four sleek colour palettes, perfectly suited to your personal tastes. You have the option to choose Urban Industrial, Refined Minimalism, Contemporary Luxury, or Metropolitan Modern, with each colour scheme offering carefully selected cabinetry, flooring, bathroom tiles, and counter backsplash materials. The sales centre offers examples of each of the four palettes. Suites on the first, second, and third floors will feature 9 ft. ceilings, and the lofts on the fourth floor will offer 18 ft. ceilings and semi-private rooftop patios. All suites feature wide-plank laminate flooring, plush carpets, oversized windows, and full-size in-suite laundry. The building offers concrete floor topping and acoustically separated party walls, helping to ensure that you feel secure and secluded in your new condo. The OTTO will be built following Built Green Canada’s responsible sustainability practices, helping to reduce its impact on the environment. The Built Green features will include natural storm water management; energy efficient glazing; centralized DHW boiler and ductless heat pumps; central recycling; and electric vehicle charging stations. With your purchase in this new condo development, you will feel like coming home and confident that you’re buying a quality and sustainable product. Its timeless west coast modern design will sure to become part of Victoria’s coveted real estate market, making your investment a lucrative one. Are you ready to live at The OTTO? Call us today 250-382-6636 or email us at info@thecondogroup.com to arrange your viewing appointment. This website is presented by The Condo Group Real Estate Ltd.